The entry of the new operator Movitel into the market in 2012 has shaken up the duopoly mobile and fixed monopoly markets that delivered poor services primarily in the major cities at high prices. Assisted by the reduction in the mobile termination rates in 2012, the market has become far more competitive with mCel and Vodacom Mozambique pressured into reducing their mobile prepaid voice tariffs. On the other hand, the fixed-line market dominated by the state-owned company TDM has been unable to increase the number of subscribers. In spite of significant investments having been made to upgrade the copper-based infrastructure and to connect the country to undersea cables, retail ADSL prices still remain high in comparison to other African countries. 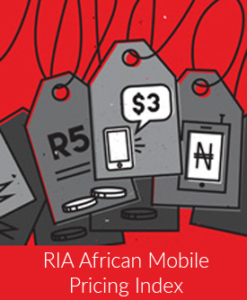 Download the RIA Policy Brief Mozambique No 5 June 2014.